IRIScan Pro 5 Driver Download. 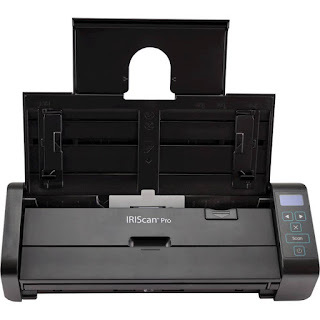 The IRIScan Pro 5 is the high-performance duplex scanner. IRIS announces the release in September of its new family of scanners: the IRIScan Pro 5, the two-sided color desktop scanner equipped with an ultrasound sensor and a new software suite. With this new scanner, IRIS aims to provide small businesses and the self-employed with a powerful tool to improve productivity and save valuable time in performing administrative tasks. Compatible with Windows® 7, 8, 10 and Mac OS® X version 10.9 and later, the IRIScan™ Pro 5 can scan all kinds of documents (contracts, invoices, letters, receipts, ID cards, mutual or vital cards), all other plastic cards) in an ultra fast and efficient way. In fact, this duplex desktop scanner scans in color 23 sheets per minute and 46 images per minute in two-sided mode. Documents are scanned to PDF or MS Office (Word, Excel, etc.) and archived locally or on a Cloud or DMS platform. This new scanner is equipped with the OCR software suite, known and recognized worldwide by several major global IT players. This makes it easy to extract all key information from scans. Readiris™ Corporate converts any paper document or PDF or image file into an editable document in the Office package. The scans are then downloadable on the cloud, always in one click. Cardiris™ Corporate, also provided, is a business card recognition software. The users can then get rid of cumbersome paper versions and keep their email contacts in their preferred contact manager (Outlook®, Act!®, etc.) or in the cloud (Google™ Contacts, Salesforce™, etc.). It is possible to introduce a stack of 10 business cards at the same time. At the touch of a button, it scans a document to any format and sends it to the destination or software of choice. Digitization, conversion and archiving: three actions in one button! Equipped with an ultrasonic sensor that detects the simultaneous passage of two pages, the IRIScan Pro 5 identifies any double feed (due in particular to stapled documents) and suspends the scanning process to ensure its reliability by avoiding jams papers that damage the documents. Main technical features of IRIScan™ Pro 5: Compatible with Windows® 7, 8, 10 and Mac OS® X version 10.9 and later. Scanning documents up to 3 meters long with ultrasonic sensor: detects paper jams or multiple loading to never tear up documents again! AC power and USB 3.0 compatible and easy conversion of written documents into .wav audio files for listening instead of reading them. Button Manager, a button manager for SmartTasks tasks: just click a button to convert files into any format or even audio file! Black and white scanning speed: 23 pages per minute and 46 images per minute. Color scanning speed: 17 pages per minute and 34 frames per minute. Automated scanning to cloud services (MS SharePoint®, Therefore™, Dropbox, Box, One drive®, Google Drive™ and FTP). IRIScan Book 3 Software Download. After I put the batteries in & grew to become it on the batteries received particularly scorching, I was once afraid it might start a hearth. I transformed the batteries and it did the equal factor. I took the batteries out and hooked the USB cable to it and my laptop and tried to ge it to work. Initially the textual content is so small i could not learn the display. The instructions are ambiguous and tough to fully grasp. I took my first laptop type in 1965, so I am comfy utilizing a computer and have found this piece of apparatus unacceptable. I notified the iris people they usually most effective provided to replace the scanner, I informed them that i would like my a refund. I have no longer acquired a reponse from them. I bought this transportable scanner for a non-tech savvy and effortlessly frustrated pal to scan/archive old, fragile files. After giving a short demo, he was up and walking on his possess with no issues and the device performs well time after time. I are not able to comment on the WiFi usability as there has now not yet been a use for it. I've handled a number of different identical scanner forms and, in my view, I to find this one to be quality in terms of reproducible performance. Upgraded then to the Readiris company 14 now 15 application that even permit them higher use of the publication three Exec wi-fi Scan Bar. Has for definite made the institution gain knowledge of existence a lot less complicated for them. And yes i love mine which i take advantage of in helping different students with new be trained ideas. This I feel is one of the most overpassed instruments for tuition pupils. I in actual fact use it day-to-day. There is invariably anything that crosses my desk I want to keep. Instead of submitting it, I scan it and throw it in the recycling bin. On the end of the week, I empty all my scans and dump the whole thing within the program to make PDFs. My pursuits is inconspicuous: turn on (2 sec), scan whatever (10 sec), turn off (2 sec), throw in the recycling (precious!). For important records, I flip them into PDF immediately and file away or share, and many others. I don't use all of the bells and whistles. It's a remarkable product.